Well, that didn’t take a long. Don’t get me wrong: There will still be plenty of talk over the next two weeks about what James will do July 1 and the growing belief that he’ll be leaving his home-state Cavaliers this offseason to join a team better suited to consistently challenge Golden State. 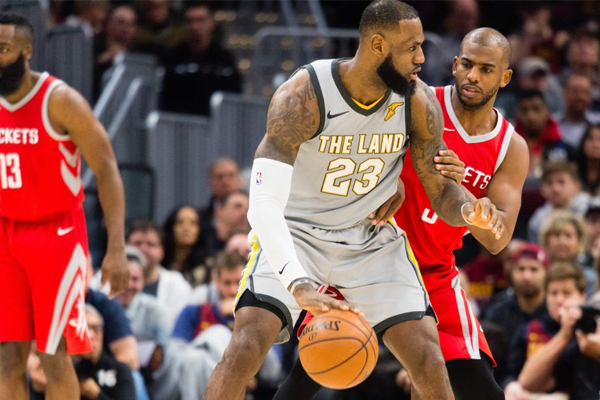 Rest assured that the Rockets’ understandably devastated Chris Paul — who made a fast exit from Toyota Center late Monday night after being forced to watch the biggest game of his life from the bench because of his hamstring injury — has already begun his recruitment of James to Houston. We knew this was coming, but there’s something about reading it after the Rockets’ season that makes it seem real. Sure, LeBron is still playing. His Cleveland Cavaliers have an NBA Finals to lose get through. Still, the Rockets have long been mentioned as a potential landing spot, and to know Paul might be laying the bread crumbs entering June gives that speculation new meaning. Of course, LeBron has to be on board with this as well. Unless both he and Paul are taking demonstrative pay cuts, he’ll have to force a trade to Houston. Even then, his arrival—likely via an opt-in-and-trade—would necessitate the Rockets shedding the final two years of Ryan Anderson’s monster contract. All of which makes this far from a sure thing. At the same time, the Rockets traffic in pursuits that aren’t a sure thing—James Harden, Dwight Howard, even Paul himself. If any team can clear all the hurdles involved, it’s them.